All new boilers fitted by DHC Services are A rated high-efficiency appliances that comply to new building regulations that extract more energy from the same amount of gas, resulting in 20% improved efficiency and lower gas bills. 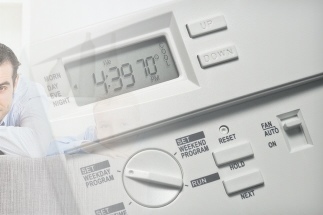 If you think it's time to update your heating system, give us a call for a free, no obligation, quotation. 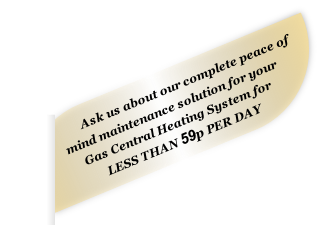 Is your gas central heating boiler proving too costly to you and the environment? DHC Services is a family-run business based in Stamford and Northants. Established in 1997, our engineers have been installing, repairing and maintaining central heating systems in the Northamptonshire area for over thirteen years. During that time DHC Services has built up a reputation for the friendly, efficient and professional service we offer our customers. All DHC Services engineers are fully trained and qualified to install, repair and maintain all aspects of your central heating system and each engineer individually holds Gas Safe ID Cards and ACS Certificates. ● Fully trained and qualified. All our engineers individually hold Gas Safe (formerly CORGI) ID Cards and ACS Certificates. WE DO NOT USE SUB-CONTRACTORS.